I read the books and seen all the movies. The books were the gems and gave the richest experience through author Rowlings’ pen. However, the movies were pretty good in visually accenting the books on screen. Deathly Hallows Part 2 did it well. 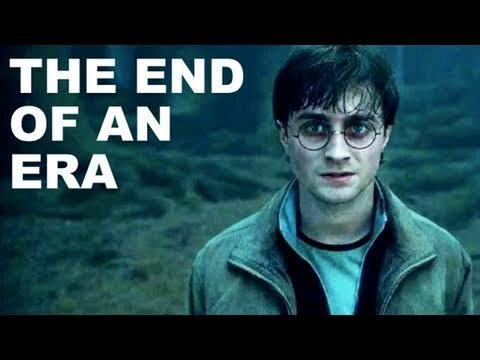 Emotionally riveting, it picked up quickly from part 1 as Harry, Hermione and Ron continue their search for the remaining horcruxes to destroy to end the life of Voldemort, Harry’s arch enemy. The movie comes with revelations about Harry’s purpose and people that are surprising as they were revealed when you read the book. The battle raged on and there were casualties. With Death and destruction eminent, Harry and his cohorts, emerge with maturity and strength. I thoroughly enjoyed the movie and recommend it. Daniel Radcliffe was especially good in his role as Potter and took us on a journey that has been ours for many years. What a wonderful marriage between great literature and the big screen. I saw this film last night, and boy did it live up to expectations! After hearing everyone raving about it, I knew it had to be something special. Every scene was fantastic – I think my favourite bit had to be the Adam Ant lookalike (the Snatcher from Part 1) running across the bridge and Neville shooting behind him. Awesome! Thanks for your comments. I love that scene , too!